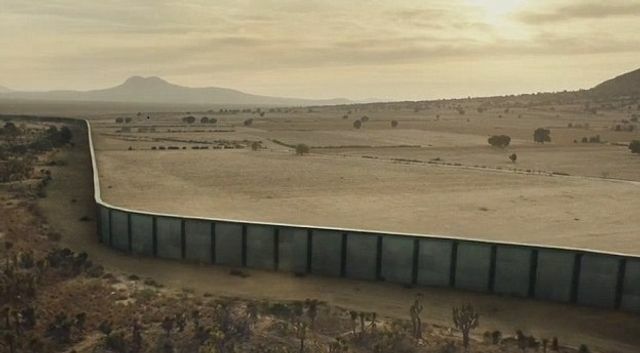 The Missed Opportunity Cost of Mexico's "Beautiful Wall"
One of President Trump’s most reliable applause lines during the 2016 campaign was his promise to build a wall sealing off the Mexican border. Last week, he implied that he would veto a continuing resolution to provide short-term funding for the US government if the legislation did not include financing for the project. This week, with a possible shutdown looming, he relented. The government is likely to stay open for now, so long as the next budget bill includes additional funds for border security and personnel training. While deporting “bad hombres” makes good copy, Mexican migration to the US has been falling since the Great Recession. Despite its problems with drugs cartels and violent crime, Mexico’s prospects have improved during America’s underwhelming recovery. The Mexican economy expanded by 2.40% annually during the last three years, outpacing 2.19% growth in the US, per Axco’s Global Statistics. The Pew Research Center reported that the number of Mexican immigrants in the US fell by 140,000 between 2009 and 2014. This trend continued through early 2017, as Mexicans have reverted to their traditional patterns of internal migration towards urban hubs. Furthermore, the Mexican government has acted as an indispensable partner in reducing the flow of migrants to the US from Central America’s Northern Triangle, which has the highest homicide rates outside of a war zone. Mexican officials detained some 425,000 Central Americans heading to the US between 2014 and 2016. In the intermediate term, aggressive US rhetoric could undermine bilateral border cooperation. A perennial populist candidate, Andrés Manuel Lopez Obrador, locally known as Amlo, is leading polls for Mexico’s 2018 presidential race and is unlikely to practice the strategic patience of his predecessor. Nationalism plays well with voters on both sides of the border. If Mexico were to conclude that there is little upside to its expensive efforts, the U.S. could find itself facing a genuine immigration crisis. The moral case for the United States’ welcoming these migrants is strong, but a sudden influx could overwhelm the American immigration system, straining budgets and exceeding the capacities of courts and detention centers.